Sunday, September 21st 12PM to 6PM. The Saint Vasilios Greek Orthodox Church parking lot across the street from the church. 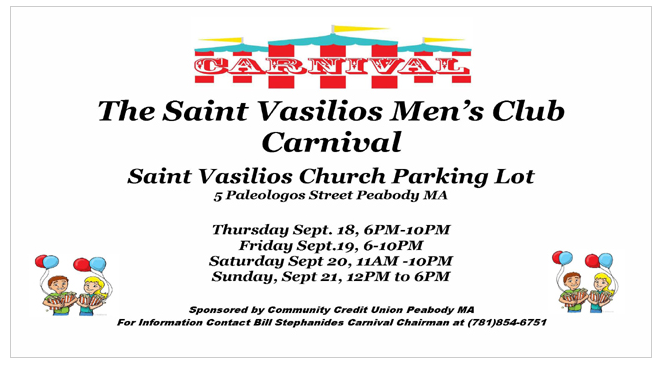 All Men’s Club proceeds will go to the Saint Vasilios Accessibility Fund. The Men’s Club will also have a concession stand which will offer tasty Greek food! For Information Contact Bill Stephanides Carnival Chairman at (781) 854-6751.